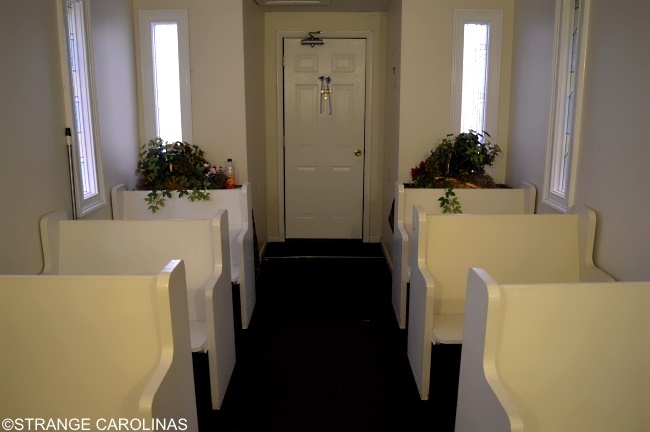 Right before you get to Myrtle Beach on 501, you'll find Travelers Chapel, a tiny, nondenominational church that has six pews, seats about twelve, and offers you a chance to "pause, pray, and worship." 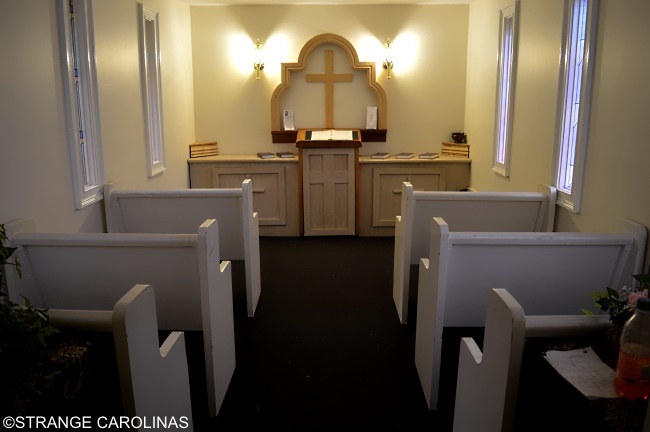 Built in 1972, the tiny chapel doesn't hold regular services but is open around the clock to anyone wishing to stop by. 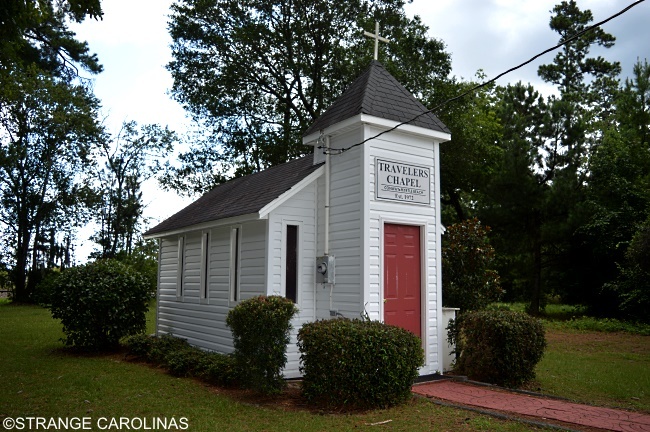 According to the book South Carolina Curiosities, the tiny church is pretty resilient, too: the church was rebuilt after a severe storm and again later after vandals set it on fire. I would imagine it gets a lot of traffic during Senior Week. 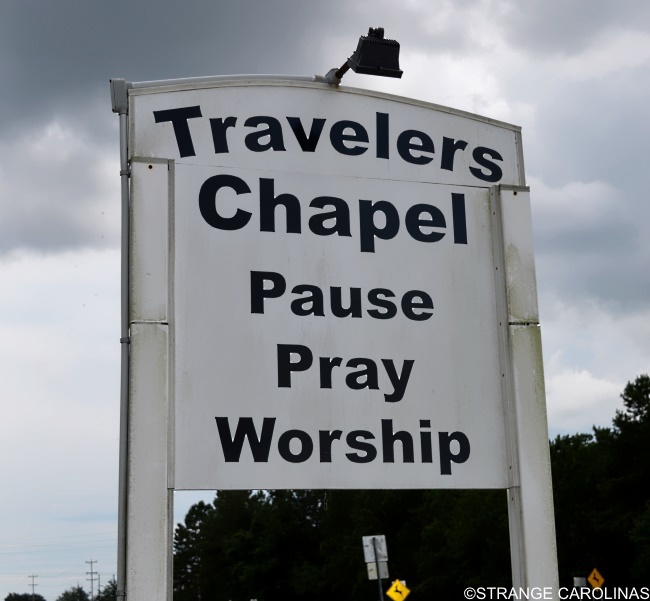 I wonder how many kids either stop on the way into Myrtle Beach and ask for forgiveness for the things they're about to do or ask for forgiveness for the things they just did on the way out of Myrtle Beach.